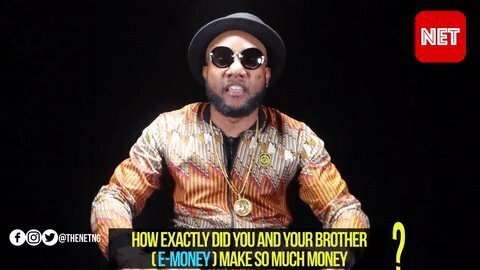 Following speculation that Kcee‘s and his brother,E-Money‘s wealth are ill gotten. In recent interview with The Net, the singer says they are not into any criminal activity. ‘We grew up in Ajegunle, but we worked hard for the money,’Kcee said.He added,‘E-Money was my manager, but he decided to branch out to real estate and here we are.’Kcee went on to tell critics to focus on making their money instead of focusing on how he and his brother made theirs. "Instead of people asking how did he make his money, you all should think of how you will make your money"